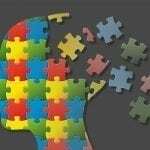 In the annals of unsavory attempts to exploit vulnerable people with false hope, a new campaign to promote an unproven supplement said to slow the progression of Alzheimer’s disease ranks near the lowest of the low. The campaign boasts an unusually slick veneer of scientific credibility owing to the participation of academics at the Nutrition Research Centre Ireland, which is part of the Waterford Institute of Technology. But once that façade is scraped away, this initiative looks like little more than a grab for sales and media attention based on the flimsiest of premises. Some news outlets in Ireland have already passed along terribly misleading messages about this so-called “breakthrough” to unsuspecting readers. North American news outlets should be on high alert and look very skeptically on an upcoming “media availability” featuring NRCI researchers. An 18-month study coming out of Ireland may have identified a unique combination of nutrients that slow the progression of Alzheimer’s disease. The pilot study examined the effects of nutritional compounds found in foods such as broccoli, trout and peppers, on people with the condition, and revealed a ‘statistically significant’ find. 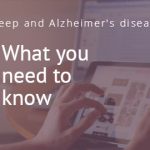 This language will most certainly raise the hopes of patients and caregivers who will understandably grasp at any straw when trying to cope with the effects of this disease. But those hopes are likely built on quicksand. 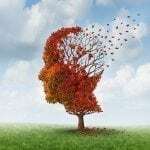 The researchers in this study took two tiny groups of patients with Alzheimer’s disease – one group with just 12 people, the other 13 – and gave them supplements containing nutrients isolated from common foods. The second group’s supplement also contained fish oil. Based on nurse-led interviews of each patient’s caregivers after 18 months, the researchers reported less decline in the group receiving the nutrient + fish oil pill compared to the group receiving nutrient-only supplement. While that finding might sound highly promising, it’s not. There are so many holes in this study’s design that the results are “highly unlikely to be true,” independent experts said. 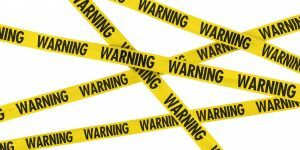 Follow-up coverage from NHS’s Behind the Headlines exposed some of these flaws when the study was initially published in June. In short, the distance between this study and an effective way to prevent Alzheimer’s is cosmic in scope. But that yawning gap wasn’t mentioned in some of the initial news reports about the study. 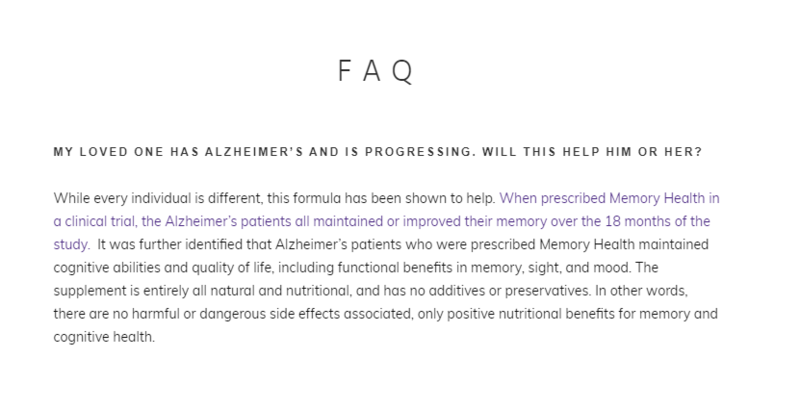 And yet there’s already a company called Memory Health selling supplements based on the study (a month’s supply costs $34.95), which it promotes on its website with claims that the pills will slow Alzheimer’s progression. '$7.9 trillion' savings from earlier Alzheimer's diagnosis: Is there a hidden agenda behind the numbers?